Eldon Gordon Spencer, 91, of Port Huron, became an angel in heaven on Tuesday, November 27, 2018. He was born January 13, 1927 in Port Huron Township to the late Alger and Charlette “Lottie” Spencer. 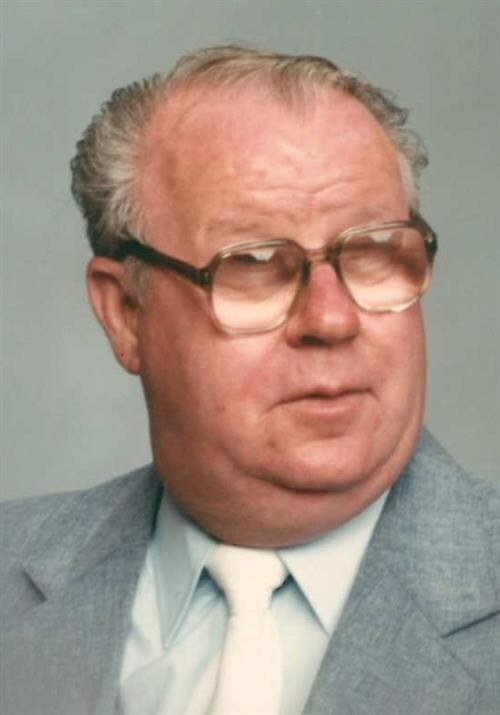 Eldon retired from the Port Huron Area School District although he spent much of his life as a mechanic in the family business at “Spencer’s Garage.” He was very active and enjoyed walking. It was joked that he did not know how to sit still, he was always on the go. He also enjoyed singing hymns and listening to music, such as Johnny Cash, and listening to evangelists, such as Jimmy Swaggart preach the word of God. He liked watching television shows like “The Andy Griffith Show,” “Beverly Hillbillies,” “Bonanza” and “Matlock.” Eldon clung heavily to his faith in Jesus Christ. He was a faithful follower and supporter of the “700 Club,” Billy Graham and Jimmy Swaggart Ministries. He is survived by eight children, Sharon (Mike) Cates, David Spencer, Robert Furtado, Christine (Ronald) Galbraith, Angie Sawyer, Sharlene Spencer, Rebecca Spencer and Robert Spencer; and many grandchildren, including Daniel Furtado, David Furtado, Marsha Bouverette, Cole Galbraith, Dakota Sawyer, Landen Spencer and Logan Sawyer; and four great grandchildren. We don’t want to forget the four-legged, furry great grands who will miss him too, such as Hershey, Diezel, Midnight and Bolt. Eldon was preceded in death by five siblings, George Spencer, James “Chip” Spencer, Richard Spencer, Marge Samson and Bernice Spencer. He was abundantly loved and will be greatly missed by his family and friends. His song has ended, but his melody will play forever in our hearts and minds. Services will be held at 11 a.m. on Saturday, December 8, 2018 in Woodland Cemetery Chapel, 3800 Lapeer Road, Port Huron, with visitation beginning at 10 a.m.
Memorials may be made to the Blue Water League of the Blind.